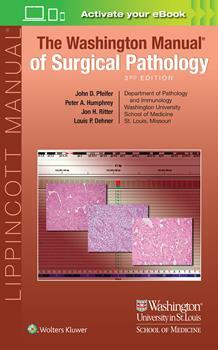 Focusing on the essential information you need to know for the clinical practice of surgical pathology, this award-winning volume in the Lippincott Manual series provides concise, high-yield content that reflects today’s fast-changing advances in the field. In one convenient, portable resource, you’ll find complete coverage of surgical pathology for every organ and anatomic site —all at your fingertips for quick review and reference. Washington Manual of Surgical Pathology, 3rd Edition, is an ideal reference for surgical pathologists at all levels of training and practice.